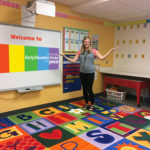 The Lolie Eccles Early Education Center offers seven classrooms for individual age groups. 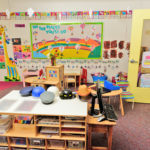 Each classroom follows state licensing and NAEYC guidelines to create safe environments where children are able to play and learn in developmentally appropriate ways. Each classroom has a minimum of 2 teachers at all times. The children are moved each fall by classroom creating long-lasting relationships with peers their own age. 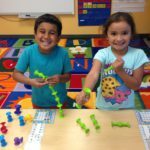 Why Lolie Eccles Early Education Center? Since 1966, YWCA Utah has provided outstanding early education to families in the Salt Lake area. 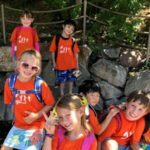 Our current program cares for and educates children aged six weeks to six years old, with a day and summer camp program that offers programming for children up to age twelve. 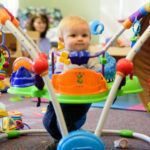 The Lolie Eccles Early Education Center at the YWCA is accredited by the United States’ leading educational standard of excellence – the National Association for the Education of Young Children (NAEYC). We provide high quality educational environments where young children grow and learn through play and discovery. We offer a balance of child-initiated and teacher-directed experiences to help children become successful learners. Our engaging curriculum fosters children’s self-regulation skills – they are directly involved in classroom decisions, exploratory play and learning, and meaningful conversations. 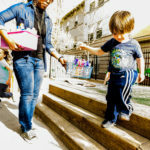 The Lolie Eccles Early Education Center strives to create a safe, inclusive and socially just child-centered environment where children celebrate diversity as they learn to understand, value, and create a society where all people are treated equally. Each child’s individual needs, personality, cultural background, and family traditions are valued and supported. Our teachers encourage children to become independent, self-confident and inquisitive learners, while aiding in their cognitive, language, social-emotional, and physical development. We maintain a low child-to-teacher ratio with talented, professionally educated early childhood teachers that are dedicated to the children and families. Learn more about why Lolie Eccles Early Education Center is right for your child and family.